Homes use fencing primarily for privacy, but farm fencing serves an entirely different (and more necessary) function. Farm fencing must be durable to protect against threats from animals and wildlife, and it must be able to withstand the harsh elements where farmers sometimes need to grow crops. In addition, fencing must protect from other wildlife, either those who seek to invade the vegetable garden for a tasty treat or those that stalk cattle and chickens. Upgrading so much fencing is not a simple project. In most cases, an electric fence offers the psychological deterrent a farmer is looking for when trying to create a safe space for crops and livestock. The first step in this process is to go over the grounds with an agricultural specialist and have this person draw up some plans for how you might divide the land. Try to make sure there is direct access to the farm house, and that roads do not exceed 16 feet in width. 10-12 feet should be ideal, as you can safely move supplies from a truck within that space. It’s also best if you keep your paddocks in a square or rectangle shape, which helps in topping and fertilizing the land. It’s also a very efficient method of land use. 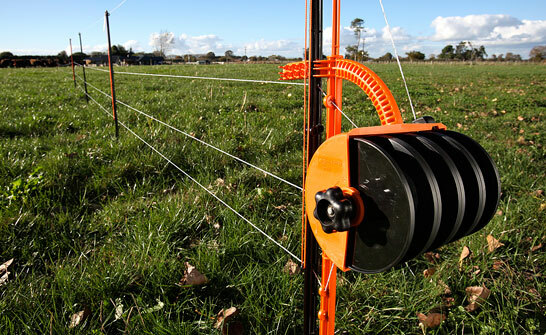 A Gallagher fence offers a pen for livestock, especially horses, while creating a safer environment for them. You don’t need to spend two or three times the cheapest kind of fencing, but you should be prepared to pay for value. If the fencing is treated in creosote, and the wiring is properly galvanized, you should be able to get multiple years of life from your system easily. Mild steel wire will hold a charge, and may be great for small animals in small enclosures, but it doesn’t tend to withstand the strains of extended use. It’s expensive to provide a charge to a large fence line, but you can do some things to help cut costs. Try trimming away excess vegetation, with the system turned off, to reduce wasted power. Good insulation and proper earthing are also key components. Smaller gardens and pens may also benefit from a solar powered electric fence, which is cheaper to run and just as easy to set up. Solar powered fencing is recommended only in areas that receive strong sunlight. Jason Governo is the owner of Farm Supply Store, which sells livestock fencing and farming accessories online.